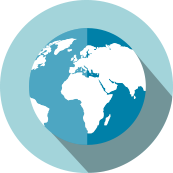 Membership in the Global Lung Cancer Coalition is voluntary and for patient and professional organisations dedicated to dramatically improving lung cancer patient outcomes. The strength of the Global Lung Cancer Coalition rests on the commitment and influence of its members. View the complete list of GLCC member organisations. Interested in becoming a member? Our membership leaflet provides more information about how to apply.